Print pictures of breakfast foods off of ClipArt or the Internet. 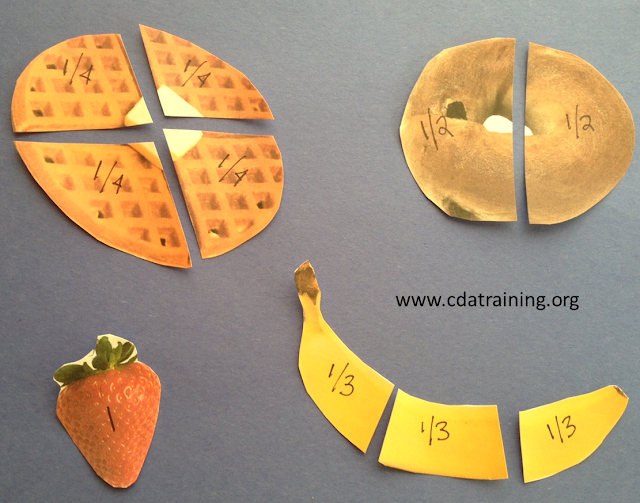 Cut and label each of the foods into different math fractions to represent 1, 1/2 , 1/3, and 1/4. 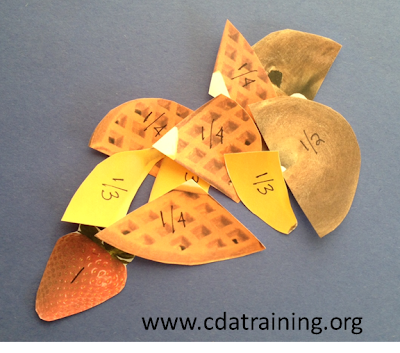 Encourage the children to put together the food items while talking about the different fractions.